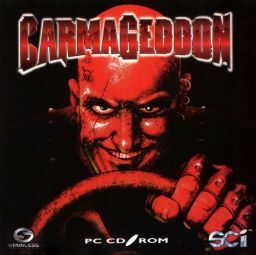 If my childhood ever bled, Carmageddon was the diesel-drenched knife. Racing games never caught my attention growing up, but Stainless Games' 1997 descent into vehicular ultra-violence both tapped into my completely sensible mirth of running over pedestrians for extra time and the abject horror of my outraged parents. Thus, you can imagine my expression mirroring Max Damage's manic mug after learning Good Old Games' latest offer is the Carmageddon Max Pack featuring the first game and its Splat Pack add-on. The $10, DRM-free Max Pack rolls out 23 pristine racemobiles for your blood-drenching pleasure in over 30 levels. The deal doubles as a celebratory gesture for the successful Kickstarter funding of Carmageddon: Reincarnation earlier this year.